One of the pleasures of going to the Biltmore is being able to ride in their horse drawn carriages. 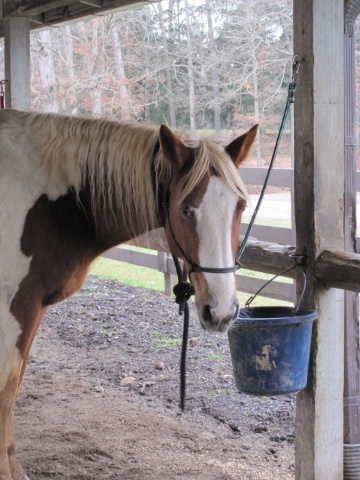 On my last trip to the estate I stopped by the stables to see the beautiful animals. My first impression was “wow…this is quite small.” The stables is in fact one of the smallest parts of the Biltmore estate. The lion is part of the Vanderbilt’s family crest and is seen on both buildings in the stable area. 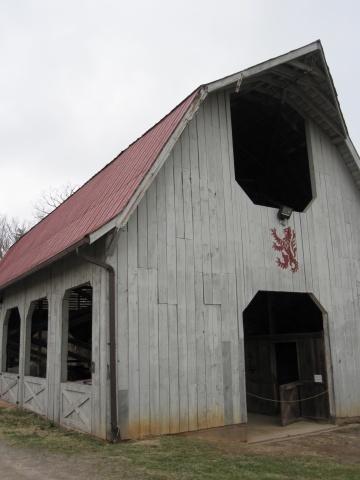 Inside the first barn were the Biltmore Draft Horses. I wasn’t able to get close enough to touch them, but they look so lovable don’t they? In the second area of the stables were the smaller horses that I’m sure probably pull the smaller carriages. The horse on the end, “Ol’ Paint” as my Dad called him, seemed interested in what we were doing there. I imagine they don’t get a lot of visitors there. 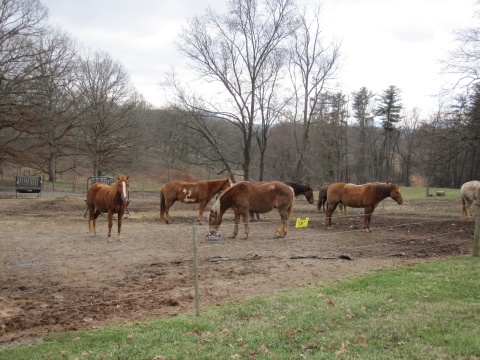 Behind the stable area is a pasture for the rest of the horses to “horse” around in. Yuck yuck yuck! lol…they were pretty calm until I started taking pictures. They got a little rowdy (nipping at each other) the longer we stood there, so we didn’t stay too long. This entry was posted in Other People's Houses, Road Trip and tagged Asheville, Biltmore Estate, North Carolina, Trip on March 22, 2010 by Tammy.